Indeed, the old adage “it’s the journey, not the destination” applies to quarterback Johnny Manziel’s career in football. 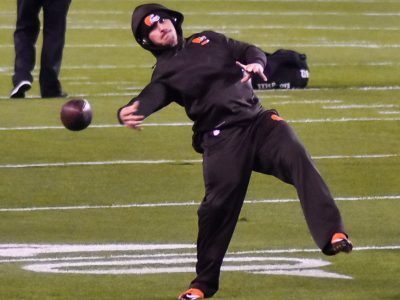 After a storied college career at Texas A&M that yielded him the Heisman Trophy in 2012 as a freshman, the Cleveland Browns selected Manziel in the first round of the 2014 NFL Draft as the 22nd overall pick. Following two lackluster years in Cleveland, Manziel found himself cut from the roster and jobless. 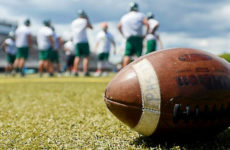 He spent the next two full seasons out of professional football before the Hamilton Tiger-Cats took a chance and extended Manziel a two-year offer last May. Cut to July, and Hamilton had not used Manziel on the field through the Tiger-Cats’ first five contests. Shortly after, Manziel shipped to Montreal, along with OL Tony Washington and DL Landon Rice in a five-player-and-then-some deal. 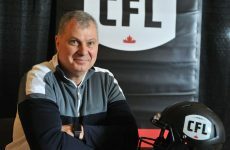 The Alouettes gave up DE Jamaal Westerman, WR Chris Williams and first-round draft picks in 2020 and 2022 in the trade. Manziel finally got the ball from Montreal in Week 8, oddly enough against Hamilton. However, success proved to be another journey. The nomadic QB went 11-20, tossing four interceptions and no TDs in his debut for the Alouettes. Fortunately, Manziel showed signs of progress as Montreal’s season unfolded. With a 5-13 record on the year, victories weren’t growing on trees for the Alouettes. Manziel didn’t earn his first win in a red, white and blue uniform until his eighth start, a 40-10 home blowout over Toronto. Manziel finished his 2018 passing campaign by going 106-165, good for 1,290 yards, five touchdowns and seven interceptions. Perhaps most encouraging were his 8.3 yards per pass attempt and 65.8 pass completion average, both figures that improved over the course of the season. 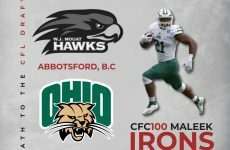 Where does the 26-year-old then stand with the Alouettes coming into the 2019 CFL season? 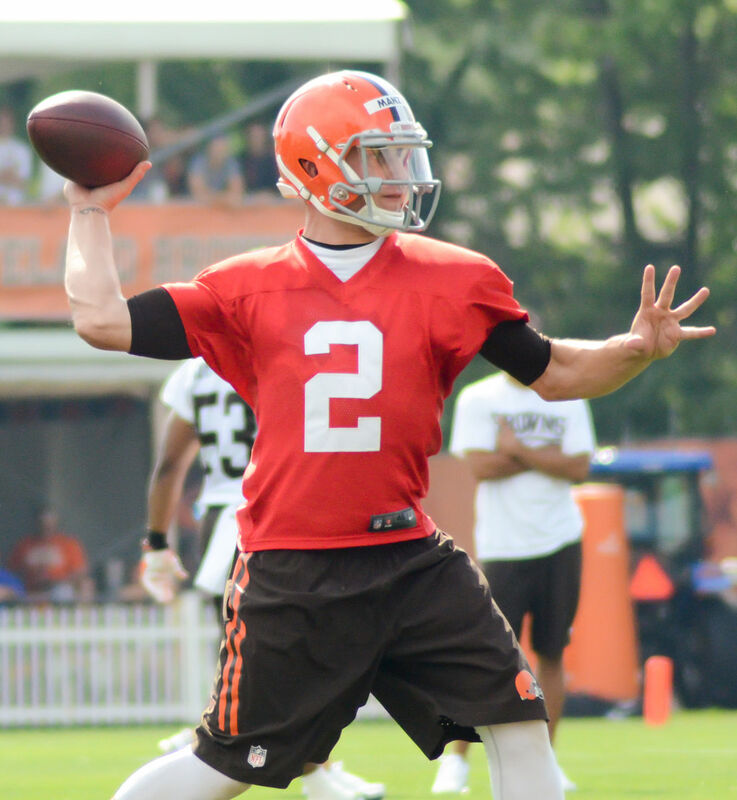 He may be under contract, but Manziel has yet to emerge as the clear-cut starter. Montreal has a cavalry of QBs on the roster, and some might say an identity crisis at the position. Antonio Pipkin, Jeff Mathews and Vernon Adams Jr., all of whom saw starts last year, were given contract extensions. Matthew Shiltz may also figure into the team’s 2019 plans. Even the football press, a typically assured bunch, struggles to peg Manziel’s standing in this mix — analysts are split on whether he earned a starting nod based on last season’s performance. The Alouettes appear poised for a full-out brawl for the starting QB slot when training camp begins in May. But Manziel comes in armed with consistent improvement over his most recent outings and strong athleticism. He’s a diverse talent with strong game-time perception. As well as football, Manziel grew up excelling in baseball, basketball and golf. He’s even a master of decision-making and strategy in poker where the importance of position and understanding various styles of play are fundamental, once winning $400,000 on a video poker game in Las Vegas.